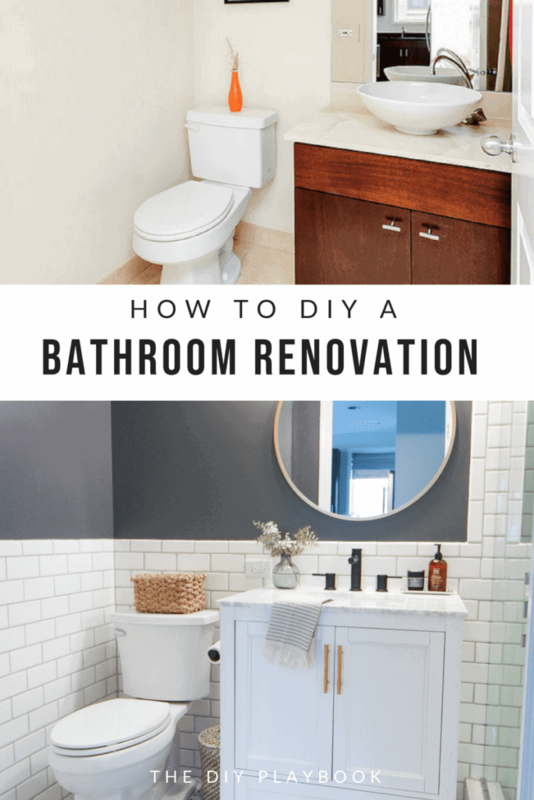 Honestly, I wasn’t sure if I would ever make it to this blog post when I could say that our DIY bathroom makeover was finally d-o-n-e. Luckily, we are here and our bathroom is 100% complete and we’ve been using it and loving it. I expected to get this project done in about a month, but it ended up taking about 2 months from demo day until the final accessories were added. 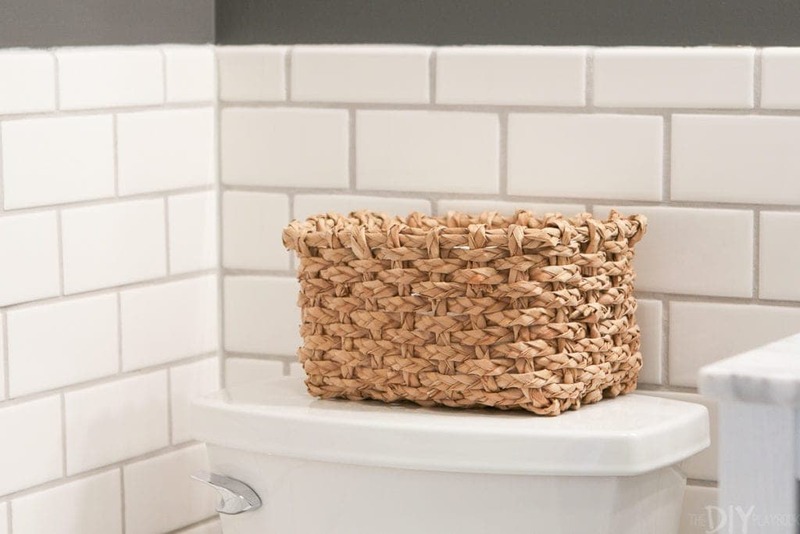 I had a few meltdowns along the way, most notably when our floor was caving in, and during our endless nights spent tiling away thinking that we should have never done this project ourselves. But I’m happy to stay that we stuck to it, and DIY’ed a big ol’ chunk of this room. Here’s a recap of all of the projects that have led to this day! Now, enough yapping from me. Let’s get to the good stuff. The before & after pictures! It really doesn’t feel like the same room at all. Finn has been using this bathroom for the past few weeks, and he keeps saying he feels like he is in a swanky hotel. Even though we lived through the entire transformation, it’s still weird to see it completely done and looking so damn good. I’m so happy that we got rid of all of the beige in here and went with classic black and white. It feels a lot brighter and cleaner…that’s for sure! 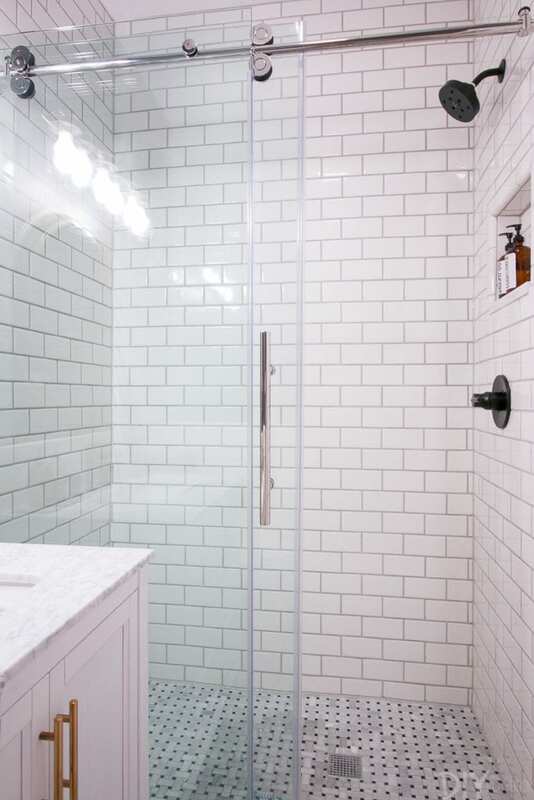 By taking out the tub, we were able to use large glass shower doors and that makes the room feel 10x bigger. 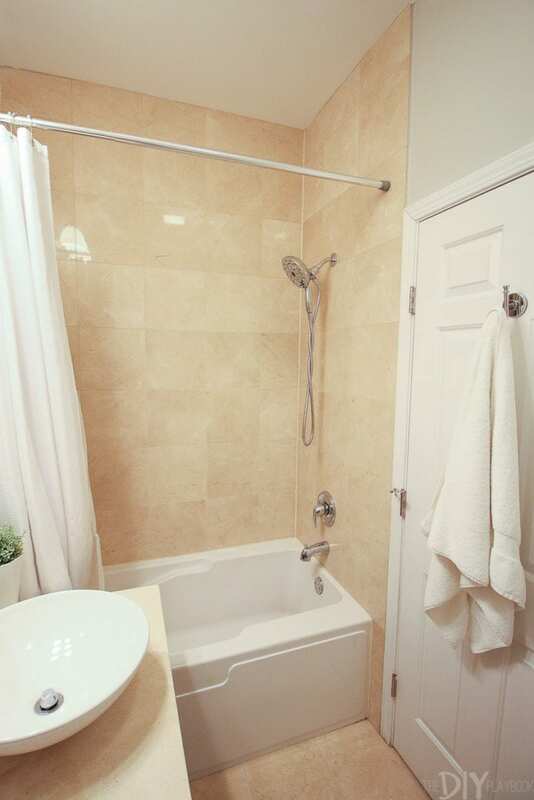 A few of you guys have inquired about not having a tub in here, and that being a problem with kids down the line…but not to worry, we have a large tub in our master bathroom. 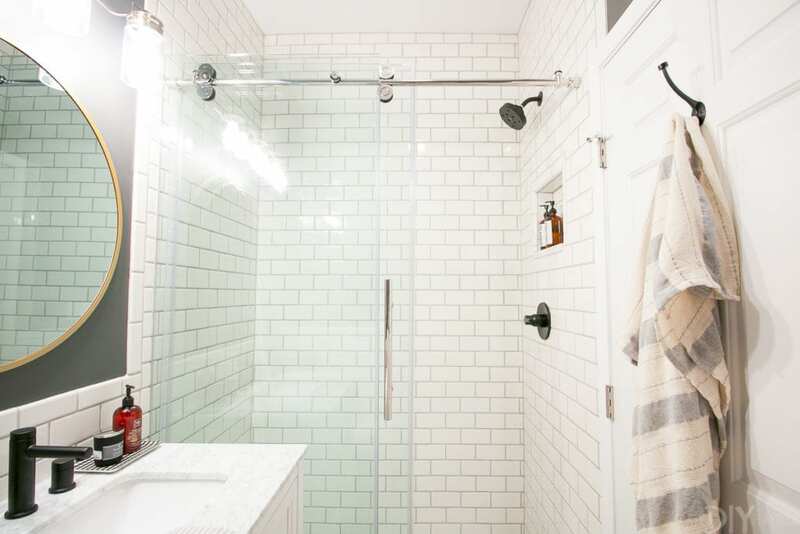 So it was a no-brainer for us to get rid of the tub in the guest bathroom and make a large, luxurious shower instead. 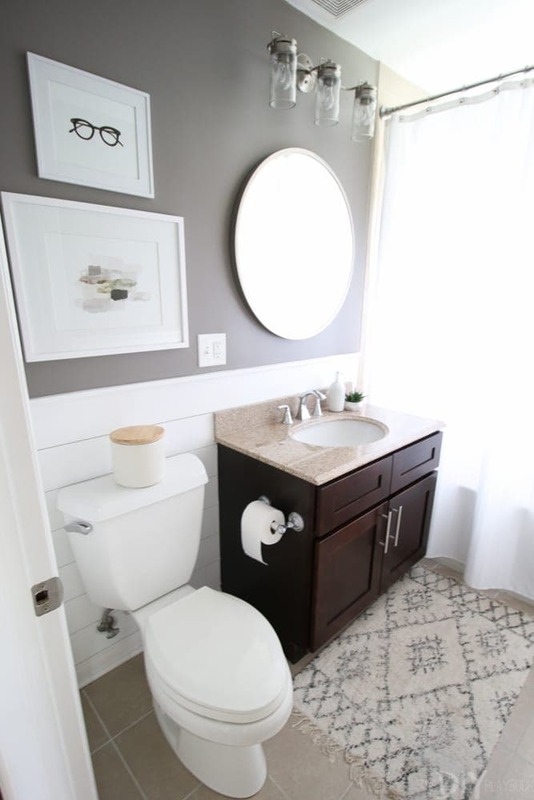 While the footprint and floor plan are exactly the same, not having that shower curtain in here really opens up the room. 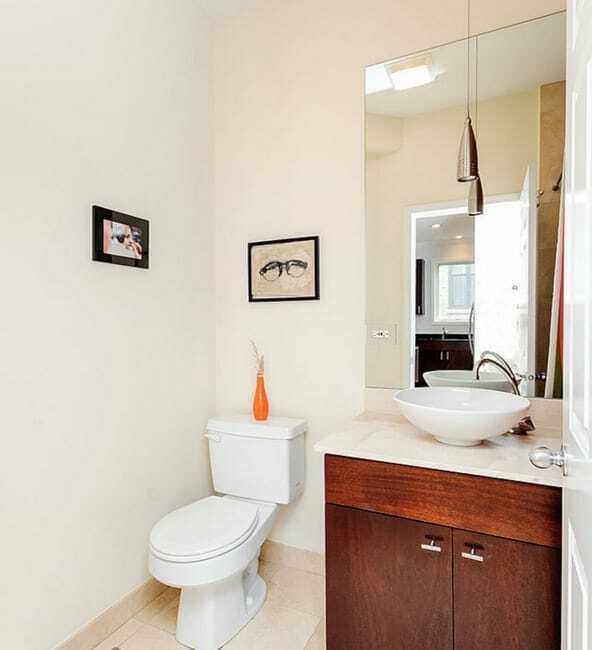 Plus, extending the subway tile to the ceiling draws the eye up. 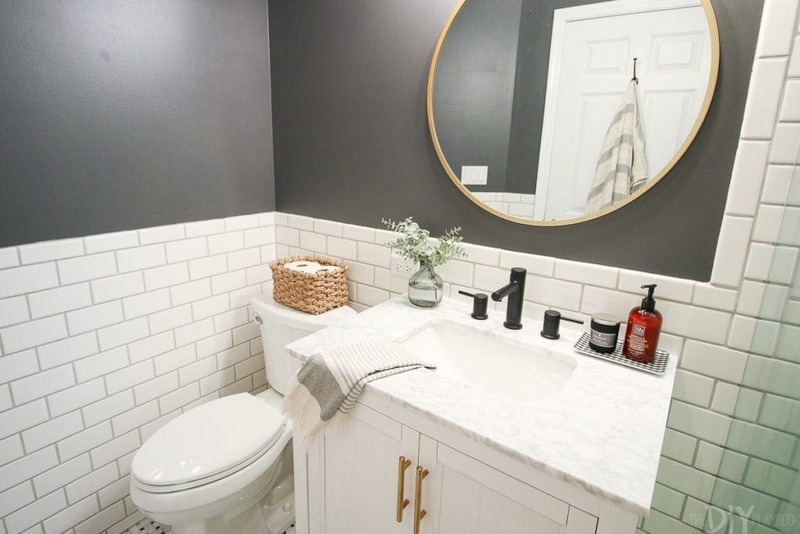 Yes, it was a pain to tile up so so high…but it was well worth all of the extra effort! 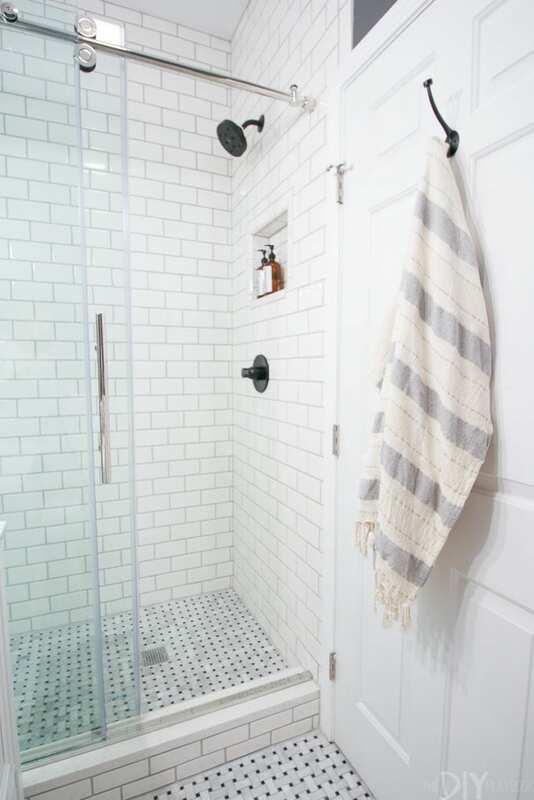 I’m so happy we added a shower niche in here too. That wasn’t the most fun area to tile (it took us an entire day! ), but it’s so pretty. 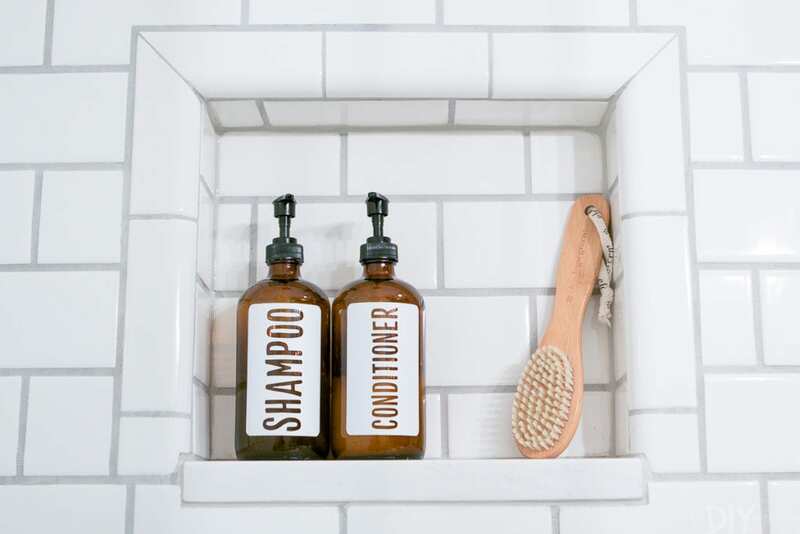 I also purchased these cute shampoo and conditioner dispensers from Etsy since they’ll be on display in here. 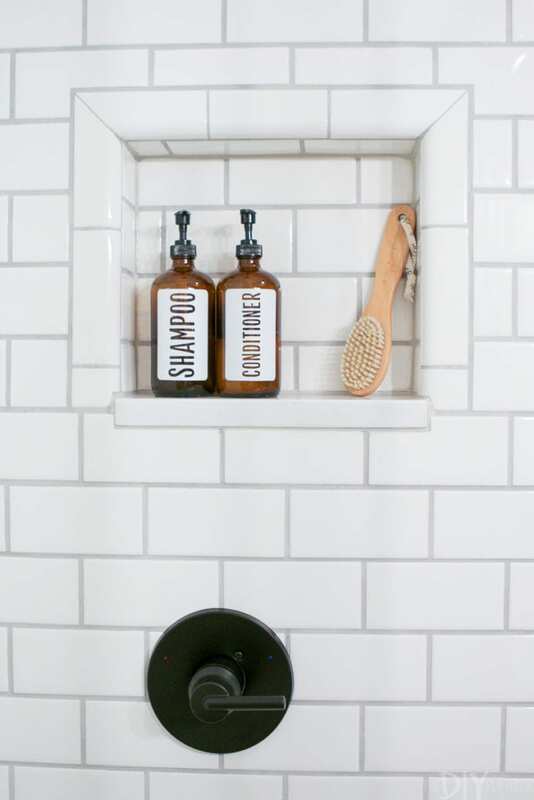 The matte black shower head is stunning next to the white subway tile. I’m really happy we went with black hardware in this space. It’s a nice contrast with all of the white! 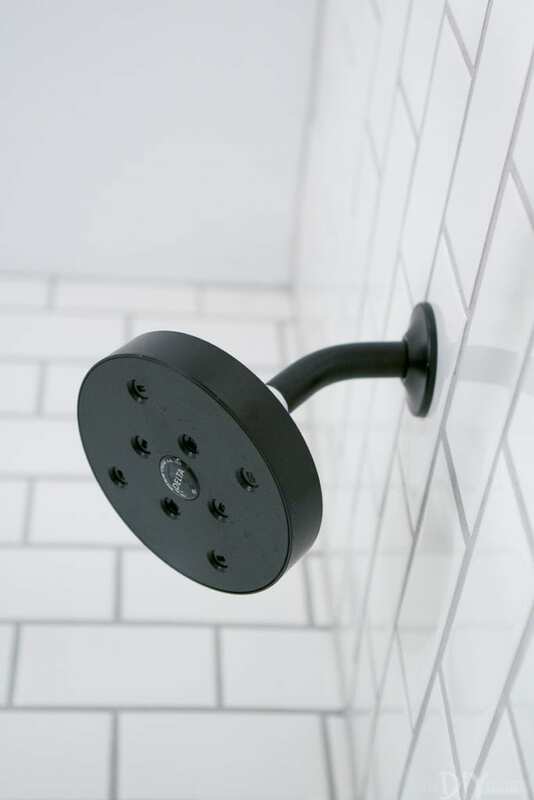 I also went with black hardware for the towel hook on the back of the door, and the toilet paper roll holder. 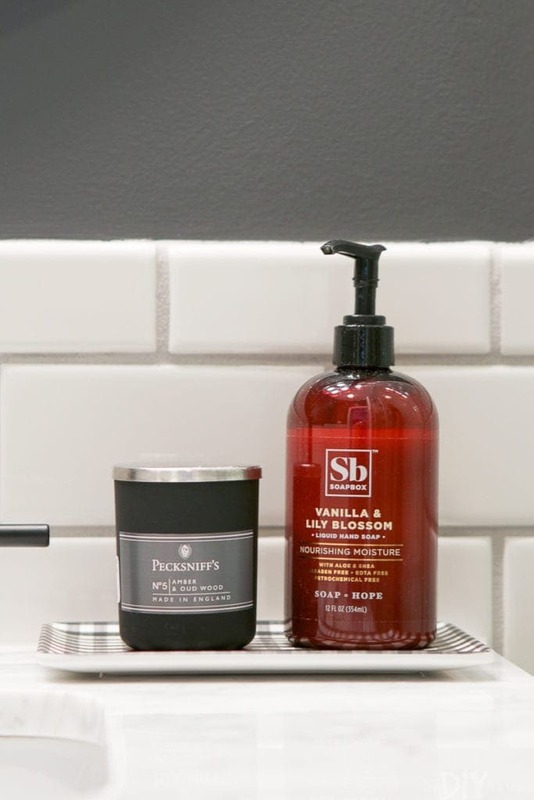 It’s the little touches that all add up to make a big statement. I didn’t have a ton of room to style, but I did add a few small touches. My main concern was this room feeling too cold, so I made sure to bring in greenery, texture, and as much warmth as possible with my accessories. This wastebasket is super cute (found it in store at Target) and I love that it has a lid to hide any garbage. 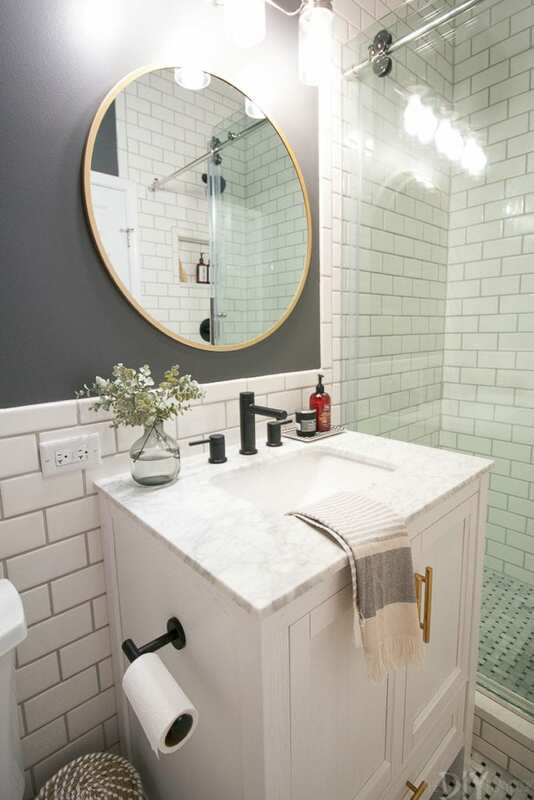 I also added a checkered tray to the top of the vanity to hold a candle and soap dispenser. It’s those little touches that make me smile every time I walk in the room. 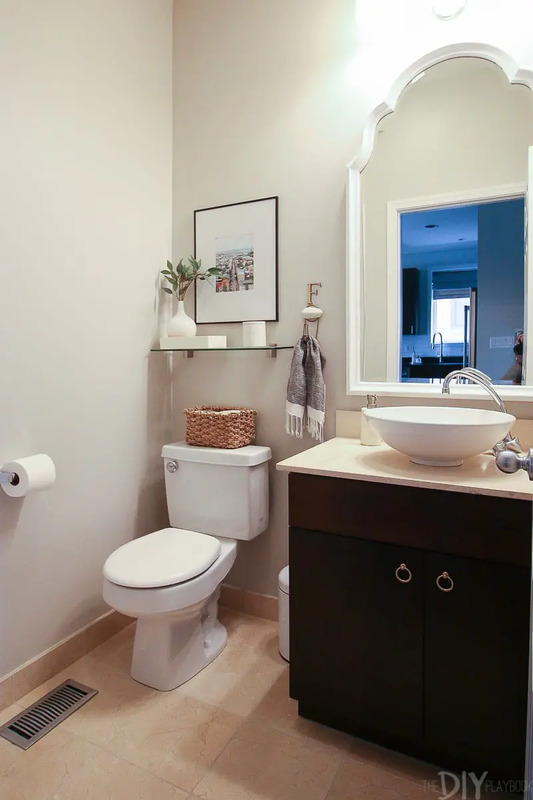 I thought about doing a piece of art on the large area of wall to the left of the toilet. I’m still undecided on that and I haven’t found a piece that I absolutely adore. I don’t want the room to feel too cluttered, but it also is a good spot to add some personality. Any ideas? A large frame? 2 large frames? A canvas? I’m at a loss and would love your advice. It’s hard for me to estimate how much money we saved by doing things ourselves, but my estimate is A LOT. 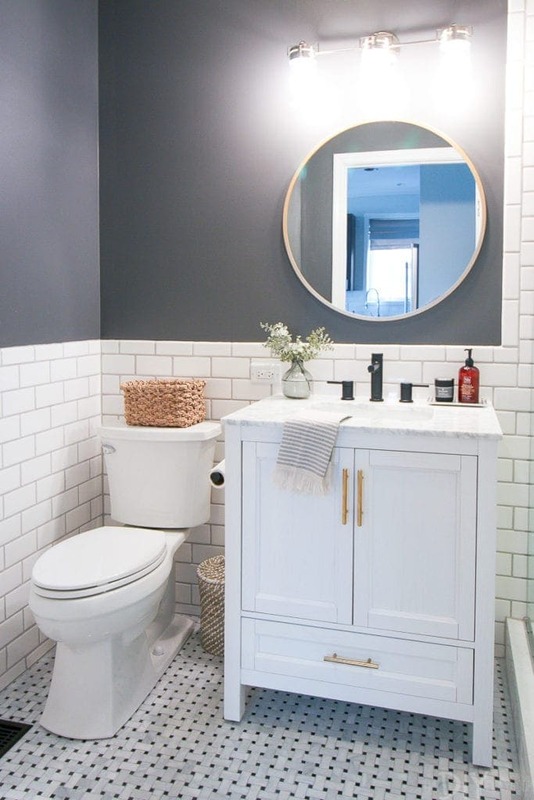 The tile work alone would have been a few thousand dollars, so even though it took us 5x as long as a professional…I’m really happy we did it ourselves! 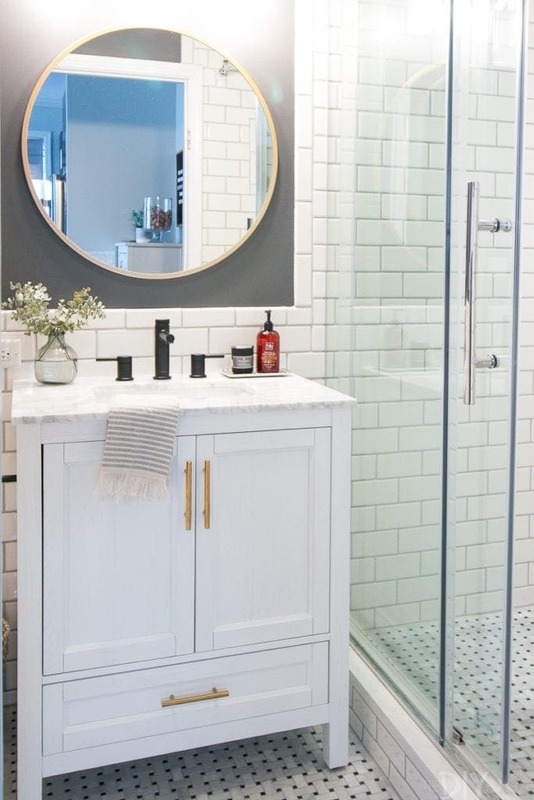 To be completely transparent, we paid our contractor $3,300 for his portion of the project and I think it was a pretty good deal. It was only 2 days of work for his team, but they got the job done quickly and efficiently. 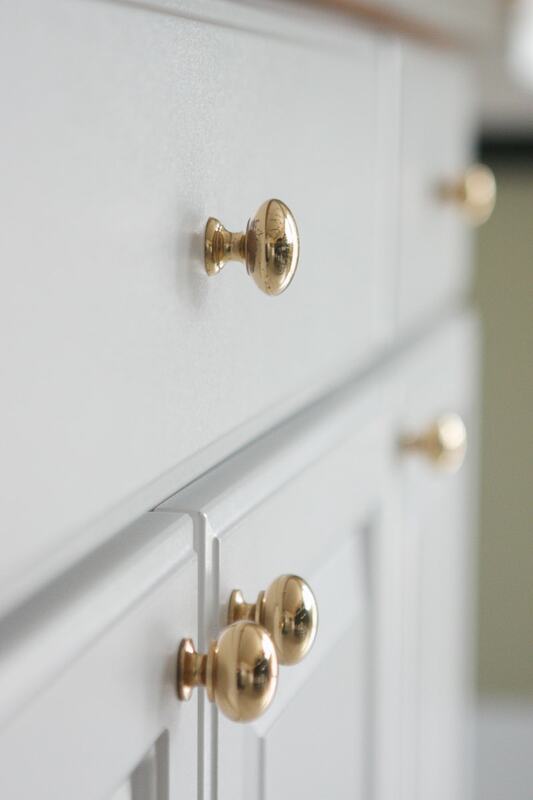 Plus, these were tasks that were too advanced for us, especially for our first big renovation. It was money well spent for Finn & I. 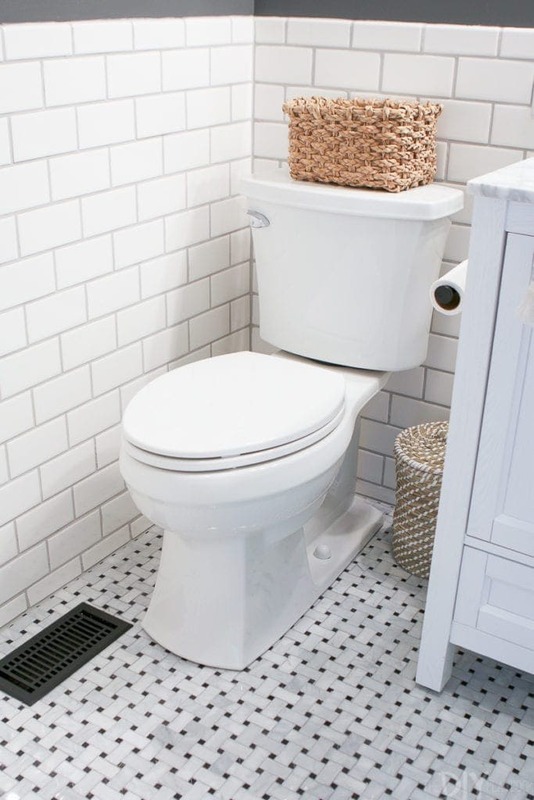 Even though I’m finished with this space, I do have a few more bathroom blog posts to go. 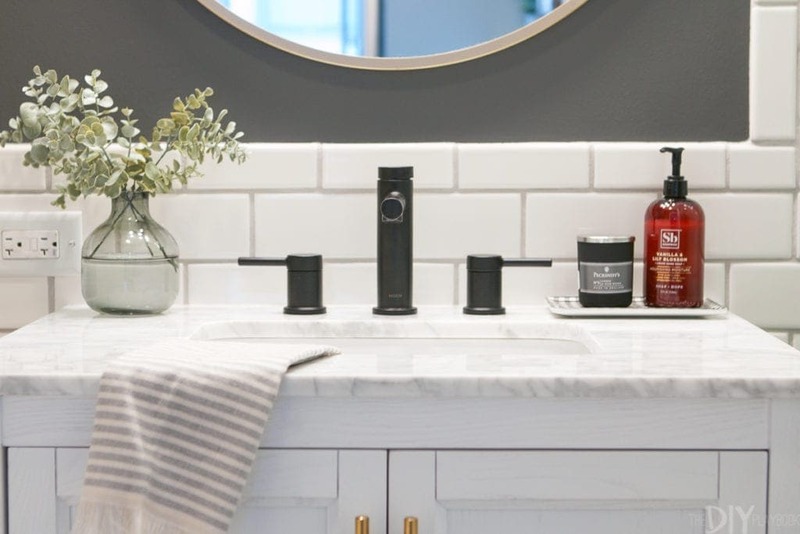 Next Tuesday, I plan to show you how we organized the vanity and some tricks to get your bathroom cabinets looking good. 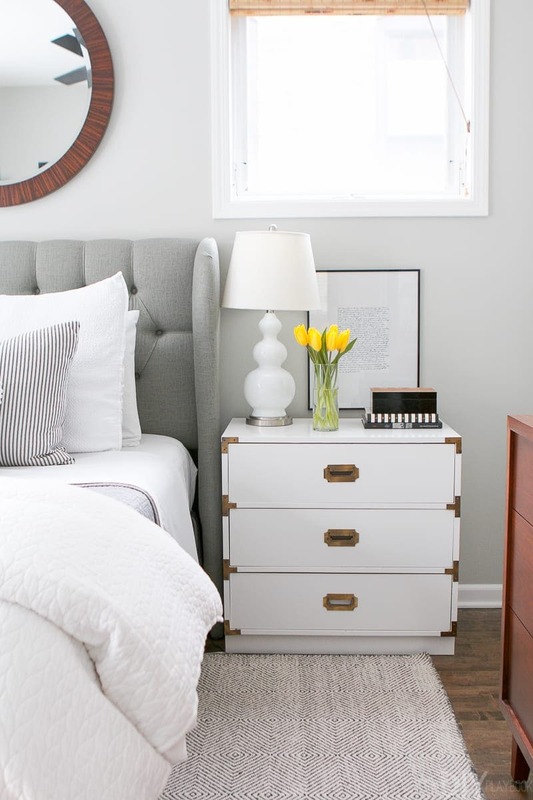 I also want to do a big post about what Finn and I learned DIY’ing this room, because we learned a lot about renovating and a lot about ourselves (and our marriage!) along the way! 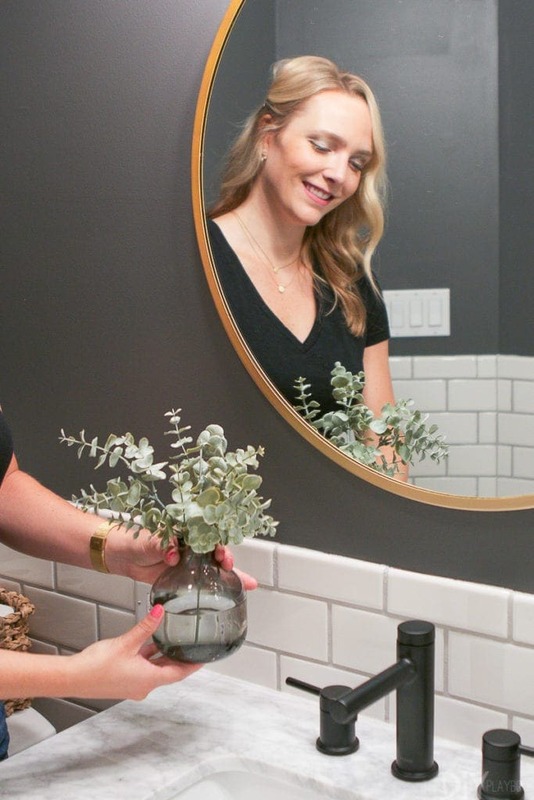 Thanks so much for following along on the journey of our first big DIY bathroom makeover! Let me just say, I’ll be happy to take a few weeks off from any large DIY projects…ha!